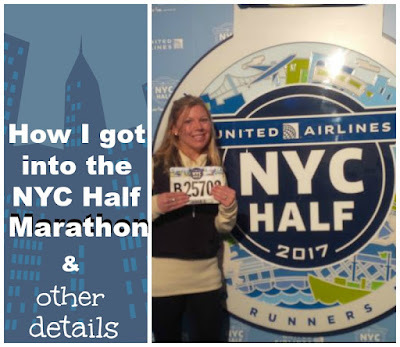 I missed last Friday's Food post so I could post about the NYC Half marathon instead. Now I'm ready to share a great recipe. I mentioned previously that I made homemade restaurant style Chinese Chicken and Broccoli. I won't call it authentic because I believe I was told somewhere that this isn't exactly what you would get in China. 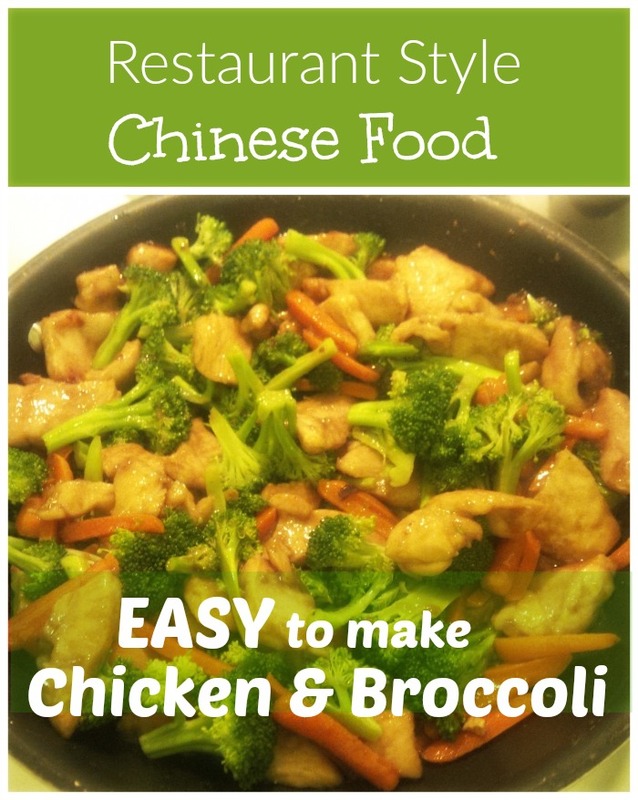 But I'll call it Restaurant Style because around here it is exactly what you would get at a local Chinese restaurant. See that picture below? This isn't that frozen stuff from a bag! I actually made it from scratch and it was GOOD! 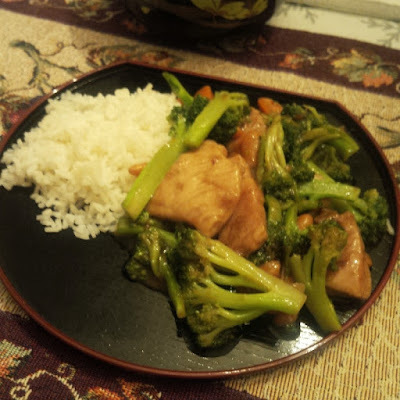 I adjusted another recipe I found online and made it my own. 1. First make the marinade for the chicken. Let chicken marinade for 30 minutes or more. 2. After the chicken has marinade, steam your veggies. I used a head of broccoli and carrots (cut in matchstick slices), and steamed them both in the microwave (in a steamer) for 3 minutes each. 3. While Veggies are steaming make the sauce. 4. In a large pan heat 1 Tablespoon of vegetable oil on med-high heat. Add chicken (which you should cut into strips) with marinade and half of the sauce mixture. Saute until chicken is golden brown. Stir frequently. 5. Add remaining sauce and steamed veggies. Cook for 2 minutes or until sauce thickens. I served this with a side of white rice. This is going to be like three posts in one. Why? because I have three things on my mind and they all kind of relate to one another. 1. 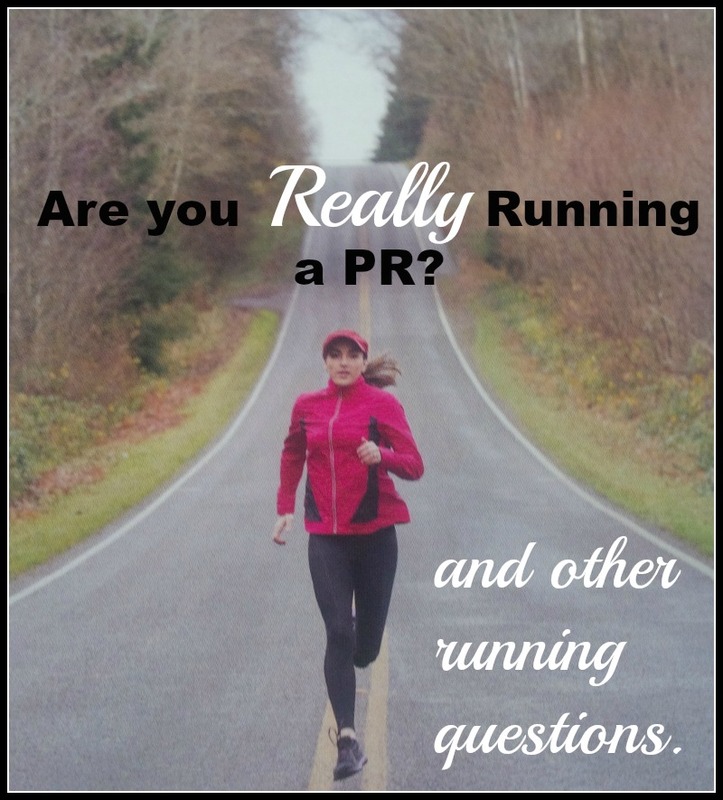 When I started running, I heard people refer to acronyms PR (Personal Record) and PB (Personal Best). As time went on, I notice most people say PR and now I hardly ever hear anyone say PB. I admit I use the term PR as well, because that just seems that it is most widely used. However, I personally think I am too common of a runner to be using the terms "Personal Record" when I talk about myself and my running. I feel like the term "Personal Record" is something you use when you talk about professionals. Common folk like myself should probably use the term PB (personal Best). But I think that's just the English teacher in me and I know I'm getting way too caught up in the context of the whole thing! What's your thought? 2. Speaking of PR's (or PB's), I was reading a post in a running group a while back and a girl posted a picture of her Garmin and said that she finally PR-ed in the marathon distance. It was a training run for her. I congratulated her on the run and asked her what race she was training for. She proceeded to tell me that she wasn't training for any race and that she hardly ever races. She just runs to run. This brings up another thought. 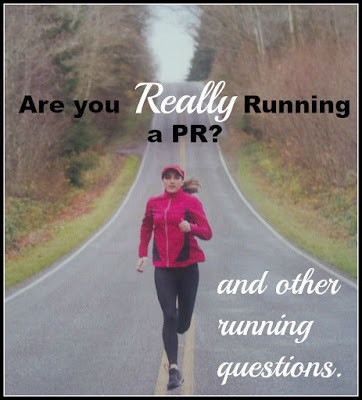 Do you consider training runs PR's or only races? So if some one runs a 26 minute 5k in a training run, but only a 27 minute 5k at a race, is 27 minutes their PR or is it 26 minutes? Thoughts? 3. Although I was happy with my time from my last marathon, I missed my actual "time goal" by three lousy minutes. There really is no excuse for this. I zonked on the last 10k and it should have NEVER taken me that long to run that last 6.2 miles except it did. Those three minutes have been haunting me. I'm not ready to train for another marathon yet but a part of me will always wonder if I could have beat that time. 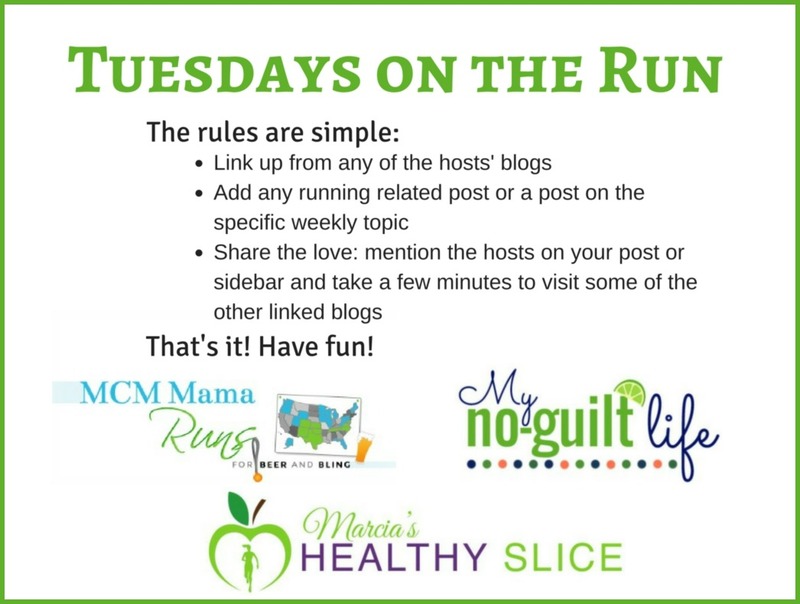 SOooo, when I am ready to start training for another marathon, my plan is to do a Virtual Race in the marathon distance BEFORE I sign up for a race. I think I need to prove to myself that I can actually meet my time goal. But then again, if I do reach my time goal during the Virtual race, have I set a new PR in that distance or does it only count if I do an actual race? What are your thoughts? I would love to hear your thoughts on these topics. I have not formed an opinion one way or another so whatever you say will not offend me. Don't be shy. I can't believe the weekend of the United NYC Half marathon had finally arrived. I was excited because I knew I had a pretty good training cycle and I was NOT injured. I was a little nervous about the weather because it kept fluctuating all week. It's important to note that I had beautiful winter weather and had very few runs in temps less than 40 degrees. 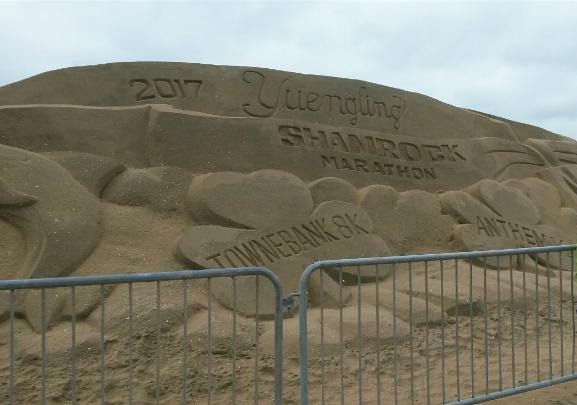 The week of the NYC half, the East coast was hit by winter storm Stella. Well that sure changed things! When I was getting ready for bed, I could see the snow starting to fall out my hotel window. By the time I was in bed, it had stopped and I wondered what it would be like in the morning. It was forecasting snow and rain around 7 and 8 am. By the time I woke up, the temps said 34 degrees and "Real Feel" of 20! What does that even feel like? I thought about changing up my outfit again to something warmer but in the end I stuck with my gut and wore what I originally had planned. Since there was no longer any sign of precipitation in the forecast, I left my visor behind. I did in fact bring a pack of hand warmers which I have never used before. I was down in the lobby and on the race bus by 6:00 am. I ended up sitting with a gal from Long Island that had done this race before many of times so we had a good chat and hung out with each other when we got to Central Park. The bus dropped us off right outside race security in Central Park. Neither of us had bags to check so we were planning on going right through. It is important to note that my new friend (Charlotte), had the clear race gear bag with her but she was NOT planning on checking it. She just had snacks and extra gloves and what not and was just going to toss it right before the start. However, she was NOT allowed through security with that bag. She had to take all her things out and toss the bag before we went through. Yes, you do have to go through metal detectors and you will have to remove your phones and watches. We had much time before we had to be in the corrals so we found the port o potties and walked around Central Park. 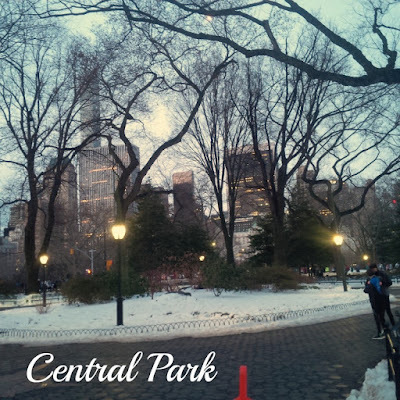 Central Park was amazingly beautiful when the sun was coming up. 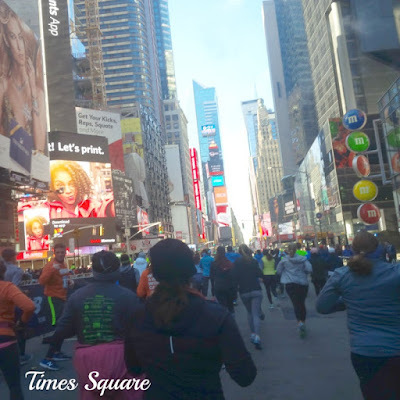 All I kept thinking was how lucky we were to be able to run in this amazing city! It was soon time for my new friend, Charlotte to go to her corral, but I still had some time left so I did a few passes in the park to warm up. I have to tell you that people all around me looked like they were freezing but I was perfectly fine. I got my race day wardrobe just right. However, I did put my hand warmers inside my gloves. I was skeptical at first but then after a few minutes they really started to heat up. While I was in Central Park, I met a new friend, Reggie. Reggie is a Good Citizen dog that was there for the race (he and several other dogs). I guess the dogs were there to comfort and relax runners. He even had his own NYC Half credentials around his neck. Reggie is an 11 year old Yellow Lab just like Baylee and he looked REALLY good! Reggie and his owner wished me the best of luck and then soon I was off into my corral. Like I said, we started in Central Park but there was no huge starting line banner or arch or anything. I think it was just a box that said start. (I got this pic from the NYRR website but I don't even remember those signs being that big). I had studied this map and knew what to expect as far as the course went. However, even though I knew it would be hilly, I did not know exactly where the hills would be. The first mile started off on an uphill. I felt like I was being conservative the first mile or so. 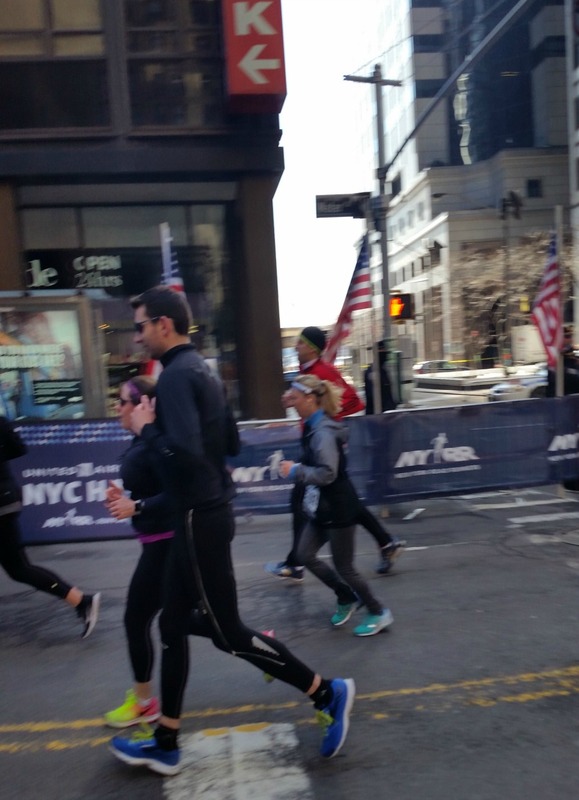 I will tell you that it was very crowded and I found myself just keeping pace with the runners in front of me. I felt I was running at a comfortable pace, but certainly not pushing it. I wanted to get around people but I always feel bad being that person that passes someone when the course is already so crowded so I just held back and tried to squeeze around when the course opened up a bit. The crowd support in Central Park is amazing. 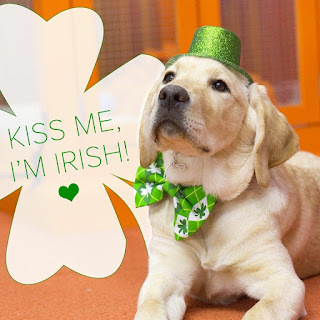 SO many people are out and SO many dogs are there. I think the official dog of NYC is a Goldendoodle. I saw so many of them(and yes, I was distracted by oohing and awwing over the dogs. At one point I saw a group of yellow Labradors rolling in the snow in Central Park. It was SOOO Cute!). 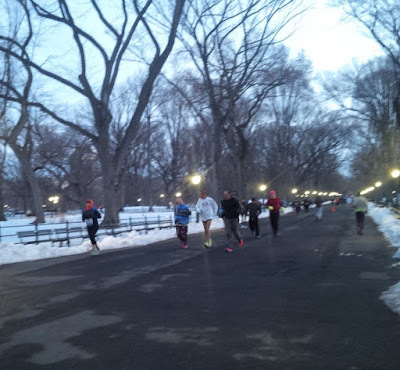 All of Central park is rolling hills but the largest hill was around mile 4. It's not just one big hill, but one that keeps going and curving, and going again. It was tough, but I tackled those hills like a champ and didn't have to walk at all. After that the spectators and course officials will tell you the hills are over. They are not. Well, maybe no more "hills" but all of Central Park is definitely on an incline (or at least where we ran). At this point I had taken my Nike Therma Fit Jacket off and tied it around my waist. It was a nice jacket and I wanted to hang on to it as long as I could. I still had my hand warmers in too, although I didn't really need them but I kind of wanted to see how long they would last. 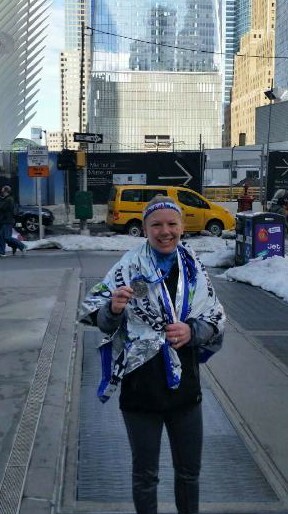 We exited Central park shortly after the 10K mark and right before then I tossed my hand warmers and my Jacket. I actually tossed my jacket to some spectators instead of throwing it in a pile of snow along the road. It was a nice jacket and I hope someone else can get some use out of it. We were now entering Times Square! This is now where things could spread out a bit more because we had the entire road. I honestly don't even remember a lot about this part as it went so fast. 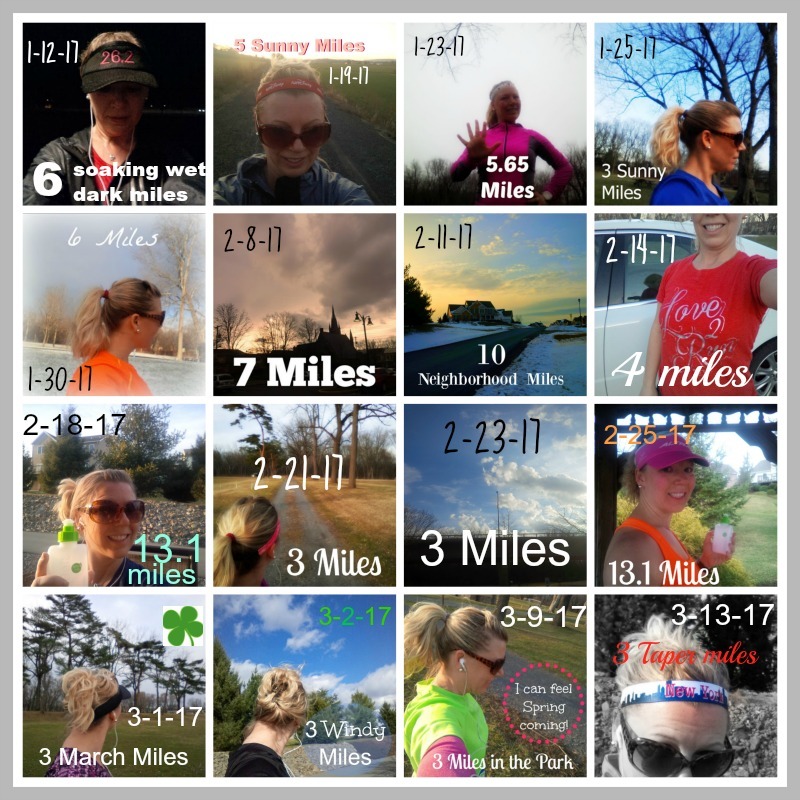 (I like to "chunk" my mileage in my mind and mentally this was a great race to do that with. The first half is in Central Park and as soon as you leave the park and enter Times Square you know you're half way there!). The second part of the race is so much easier than the first. It's a mix of flat and a little down hill (until the very end). We then turned towards the water and down the West side. During this half of the race, there are bands playing and cheerleaders out. Again, there is just as much crowd support during these miles as there was in the park. We passed the ferry terminal and I thought it would be windy as we ran along the water but it wasn't (although I did read some other 2017 race recaps and those runners did mention that it was pretty windy. Perhaps the wind died down by the time I got there, IDK). We actually weren't as close to the water as I thought we would be. I never felt that I was too cold nor did I feel overdressed. I probably would have pulled my arm sleeves off but my watch was on so tight and I couldn't get them down. I hadn't been looking at my watch but I did slow down for a water stop at mile 9 and when I did, I saw the 2:15 pacer pass me. It surprised the heck out of me that I was in front of the 2:15 pacer that entire time. By mile 10 I could tell I was starting to slow down but I gave my self a pep talk and said you can NOT have this be your slowest mile. Let's pick it up. So I tried. I knew I wasn't that far behind the pacer. The last mile goes through the battery tunnel, which is about a half mile or so. 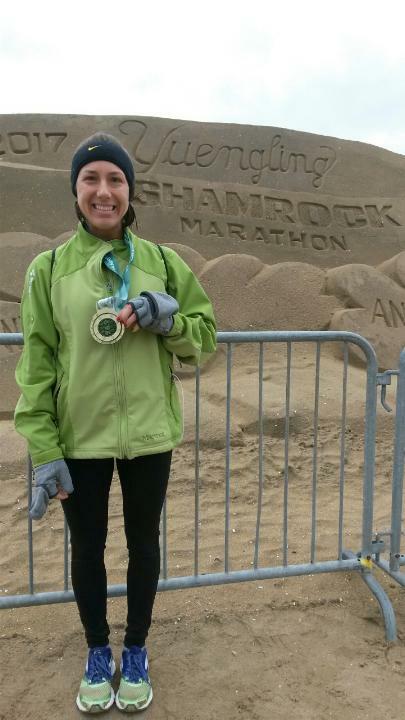 Inside the tunnel was probably the windiest part of the race but by that time it felt so good. The tunnel ends with an incline (of course) and then it's a dash around the corner to the finish. I always like to sprint on in to the finish line but today I had this couple blocking me. I thought about just staying behind again, but I thought NO. I want to run in, so I saw a small space between them and squeezed right into the finish. You can see me "squeezing" through while trying to stop my Garmin! My Garmin had calculated the course long, so I didn't know what my "official" time was. My friend Heather was sending me encouraging texts so I figured she was tracking me. I had to ask her what my official time was. When she said 2:21, I have to say I was pretty excited. It's not a PR but it is worth being excited about because I am now showing progress. My first half since my injury was Wine n Dine and I got my time to 2:25, and now this half is 2:21. It gives me hope that it is really possible that I can get my half marathon time down to where it once was before all the IT band trouble started. I think this race gave me confidence again. On the results page it did say net time of 2:21 and AG time of 2:18. I wonder what AG time is? I am assuming it means Age Group time. Does that mean the average time for people in my age group was 2:18? Once I crossed the finish line, I had to walk quite a ways to get the goody bag with food and Gatorade in it. I didn't bring my own water bottle so I was SO thirsty! Scott said he would meet me at the finish line but I didn't know how close he would actually be able to get and I had to walk so far down the finish line chute that I didn't even know where I was anymore. I called him to tell him that I would just meet him at the hotel since I knew it was only a short walk (a perk of staying at the Millenium Hilton). Turns out, we were in the same area so we got to walk back to the hotel together. There was a beverage ticket on my bib and I heard there may have been a massage tent but I really don't know about any post race festivities because by that time I had forgotten about any of that stuff and just wanted to see Scott and tell him about my race. For me, this was a great race and I couldn't help but smile all the way back to our hotel! 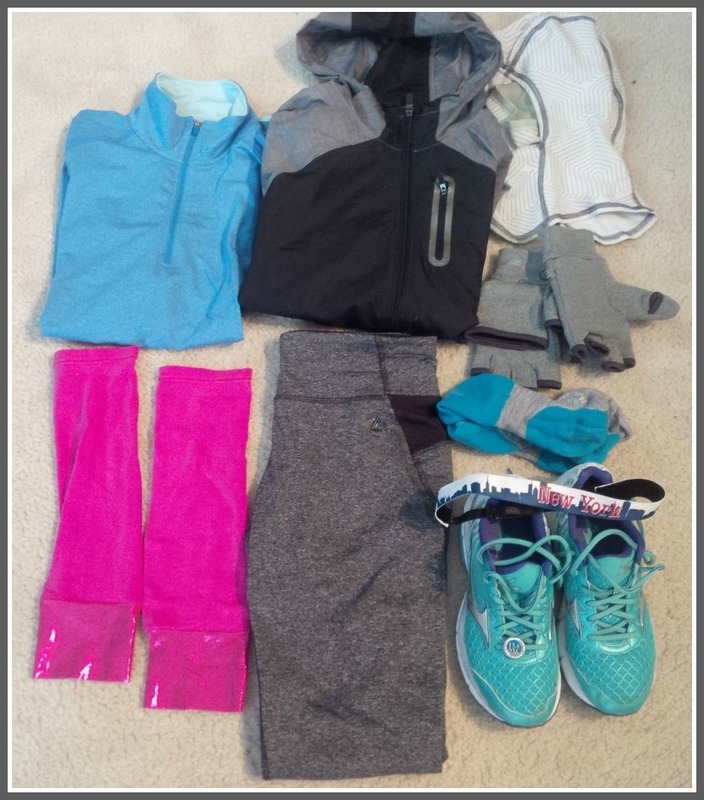 Even though Central Park was hilly, I was prepared and it didn't bother me. In fact, looking back over my Garmin, I believe I did better the first half of the race than I did the second half which is odd for this race because most people end with negative splits. 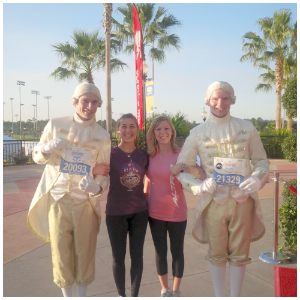 I will say though (even though I love Disney races), the NYC Half race course is probably my favorite so far! In the beginning of this endeavour, I proclaimed the NYC Half a once and done race. But I've learned to never say never because this is one race that I would happily run again. I just don't know if the stars would all align again for as great of a training cycle (weather wise and injury frees) and perfect race day conditions. I'll end this post by sharing a pic of my favorite race sign from race day. My parents made the sign and even put together that puzzle. 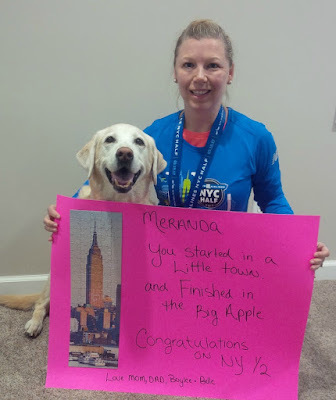 It says Meranda, you started in a little town and finished in the Big Apple. Congratulations on the NY 1/2. Love Mom, Dad, Baylee & Belle. If you've been following along with us then you know the most exciting things that happened this past week happened on Sunday when Lacey ran the Shamrock Marathon and I ran the NYC Half Marathon. We had two very different races. You can go back and read her recap HERE. I previously talked about how I got into the NYC half, the expo,the hotel, and the logistics of how it all worked. 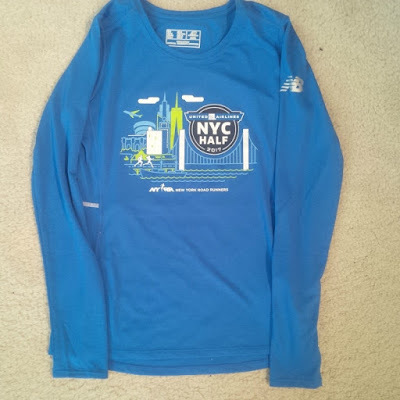 If you are at all interested in the NYC half, be sure to check out that post HERE. 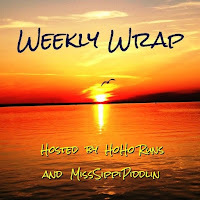 I'll have my recap up tomorrow so I do hope you come back to read it then! After Sunday, we both pretty much took the week off from running. The front of my quads were a little sore and I think Lacey may have caught a cold. By Wednesday I had the itch to get out there again but because of a busy schedule, I didn't. I figured I deserved the time off so I just enjoyed it. Saturday I got up and rode 5 miles on the bike followed by some stretches. I even attempted to do the stability ball sit ups I learned from Megan. It was beautiful on Saturday and I wanted to take advantage of the day by getting a run in but by the time I was done with house work and company, it was after 3:00 pm and I knew I needed to go run some errands at the mall (and still be back in time to give Baylee her pills). I was debating on just skipping my errands to take advantage of the warm weather but then my sister reminded me that nice days are not few and far between. They'll be another one right around the corner. I had to laugh because I was actually thinking the same thing! I'm really pleased with how my training cycle for NYC went. Not only did I have perfect weather for most of my runs, I actually ended up keeping a record of most of them (except the treadmill runs). I actually had fun documenting all my runs and looking back, I can remember little details about each and every one of them like the time I tried to finish my miles before the storm came through, the time I saw 6 deer in the park, the time I ran in the pouring rain, and when I felt triumphant after my first 13.1 run of the year, etc. I'm not quite sure why I need to remember each run, but I am a journalist by trade so I guess my need to document things comes naturally! I'd like to start keeping a pictorial log of the rest of the races I train for this year and see how that goes. Although my next race is in 2 weekends so I'm not sure I'll have much to add to it! 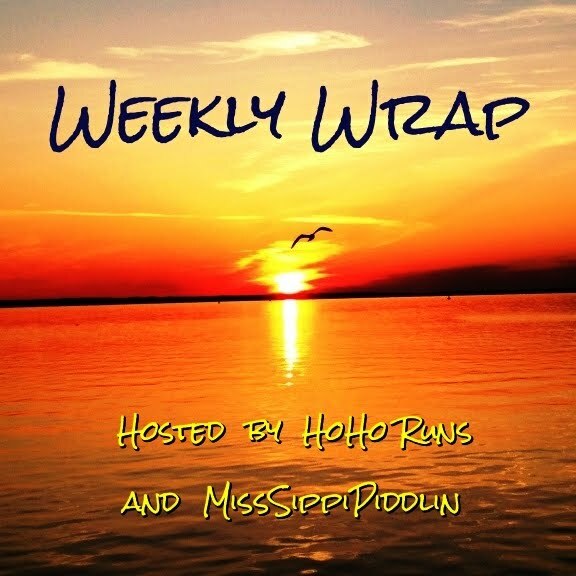 We are linking up with the lovely Holly and Tricia for their Weekly Wrap! Before I get into my United NYC Half Marathon race recap, I wanted to share some details about the race and the logistics of it. I had quite a few people ask me how it worked out using the travel provider so I wanted to share those details. I also wanted to share a bit about the expo because I thought some details of it were unique compared to other race expos I have been to. Hopefully this information will be useful for anyone thinking about running the United NYC Half Marathon. 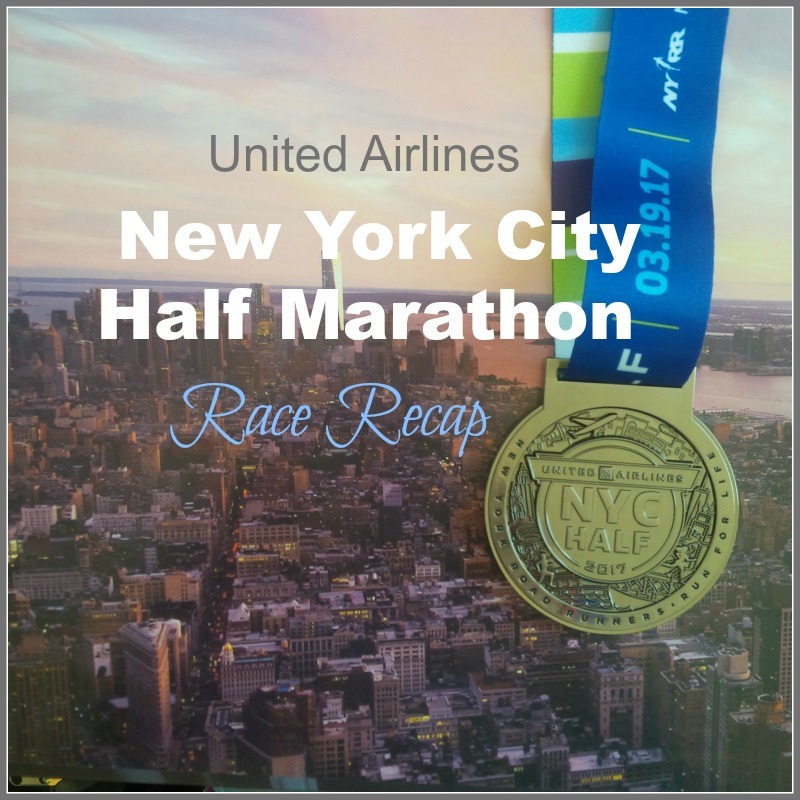 I mentioned in a previous post that I did not get into the United NYC Half through the lottery. I was gifted the registration as a Christmas gift by my husband who went through the travel partner that this races uses which was Anthony Travel. In my opinion, this was the BEST way to do this race if you are from out of town. 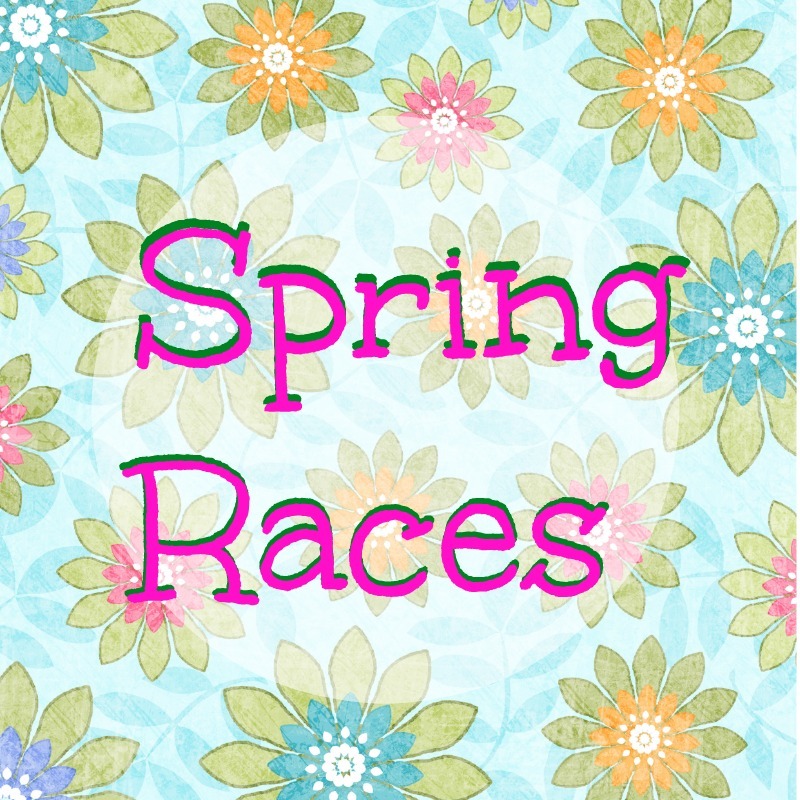 You have to wait until the lottery is over before booking a guaranteed entry into this race. Also, to guarantee your entry, you must book a package at the hotel that Anthony travel uses as their ”host” hotel. In this instance, it was the Millenium Hilton on Church Street in the Financial district. Of course you have to pay for the hotel room and then the price of the race gets added to that. I am not sure what the actual cost of this race is but I did have someone tell me that if you are a NYRR member that it was somewhere around $150. I will tell you that my race registration was more than that so perhaps the Travel partner charges extra because it is a “guaranteed” entry. 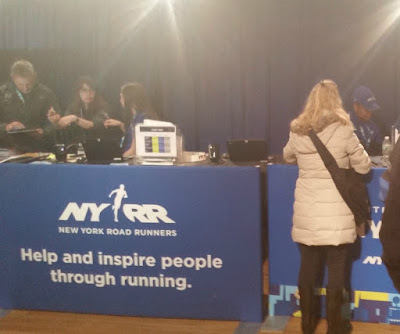 I have to say that the United NYC Half Marathon expo was a bit underwhelming. If you are expecting an expo like Disney or even a Rock n Roll race, you will be disappointed. I wasn’t disappointed as I didn’t really need to buy anything at the expo but I was hoping to see a few of my favorite vendors there. The lack of vendors made it easy for us to get in and get out. The expo was at the Metropolitian Pavillion on 18th street. The subway stops are on 14th street and 23rd street. We got off at 14th street and walked 4 blocks to the expo. I thought bib pick up was odd as runners could go to any booth and pick up a bib. Again, it was not like Disney or Rock n Roll where you have to go to the booth that corresponds to your last name. I just got in the shortest line and when it was my turn the lady at the booth just picked a random bib (based on the wave I was in), scanned it so it was assigned to me, and I was on my way. I really love the race shirt, although I would say they do run a tad small. Another thing I thought was unique to this expo was that there were volunteers that were holding the shirts up all along the wall where you picked up your bag and race shirt. I thought they were just showing you what the shirt looked like but in reality they wanted you to try it on before you picked up your own shirt. When I went up to pick up my shirt, I went to the booth that said “small” because I just assumed that was the size on my registration, but the lady asked me what size I wanted. I still said small. After getting my shirt, Scott convinced me that I should try it on. I had a cami on under my sweater so I just slipped the shirt on over the cami. The shirt fit, but I wondered if a size medium would give me a little more wiggle room. I went over to one of the ladies holding the shirts to be tried on and asked if I could try on the medium shirt. At that point she told me that I couldn’t exchange my shirt even if I wanted to because I had already tried on the shirt that was in my bag. Ooops, I had no idea I wasn’t allowed to try on my own shirt. As far as official race merchandise, there really wasn’t a whole lot of “stuff”. I saw hats and water bottles but that was about it, the rest was clothing. I saw a jacket online that I was considering purchasing but when I got to the expo there was only one left and it wasn’t in my size. I wasn’t extremely upset as it saved me $100! They also had these rain jackets that were going for $125 and I am not kidding you when I say that they were as thin as a Dollar Store poncho and had no pockets on them. Completely worthless if you ask me. The expo did have a few good spots for photo ops, so that was a good thing but overall it was too hot and crowded in there and we were glad to not have to spend a whole lot of time there. Like I mentioned above, the hotel that we stayed at was the Millenium Hilton. 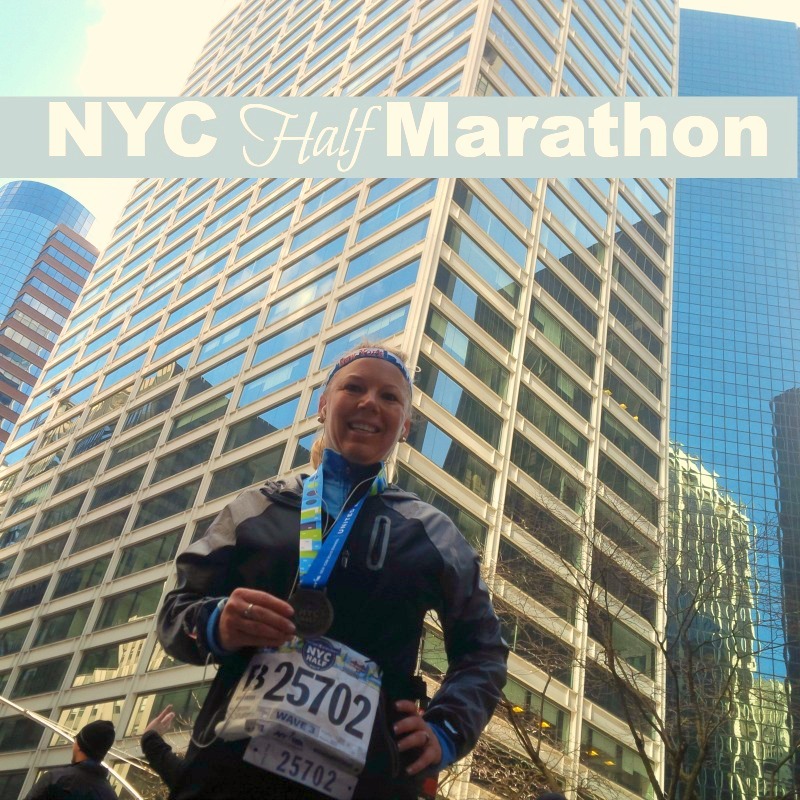 It was in a perfect location in the Financial district in Lower Manhatten (near the finish line). It is located right across the street from the "E" subway (the blue line), which is the one you would take to get to the expo (it's only 4 stops away). It is also right across the street from the 9/11 Memorial. We had a view of the west side facing the river and Scott said he could even see the runners out the window when he got up on race morning. By booking through Anthony Travel we got a late check out at 3:00 pm, However, we had to valet our car (the only option for this hotel) which cost $60 a day and they charge you by a 24 hour period. 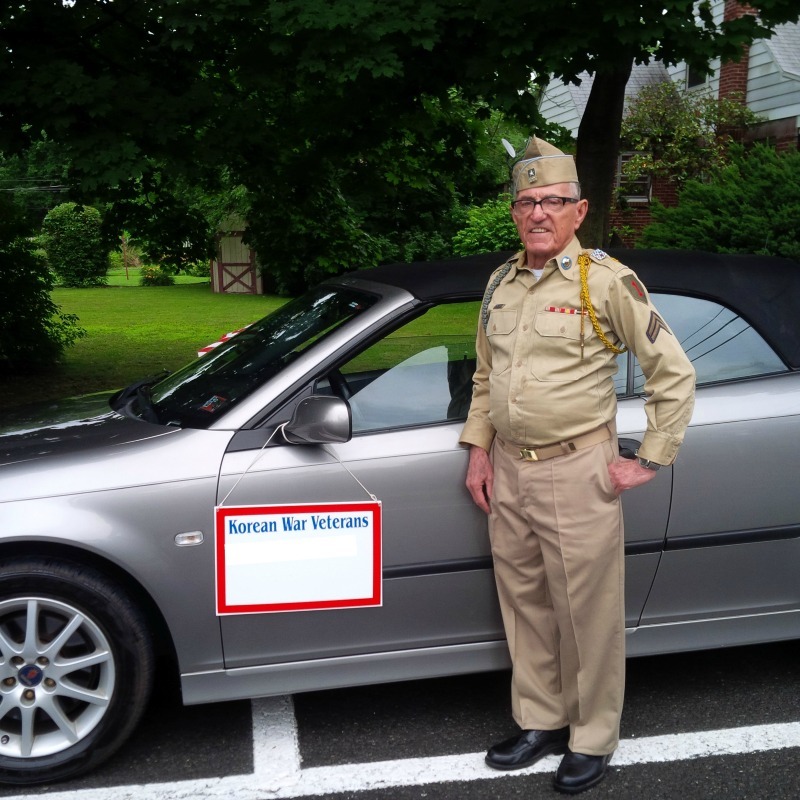 In this instance we had to remove our car by 1:45 pm or we would be charged an extra day. I know that is such a small detail but it's important to note for anyone looking to stay at this hotel and drive their car. The hotel also has a nice restaurant with a great view but has limited options. It was convenient for us to go there for a post race lunch once I was all cleaned up though. The hotel also had a runner's breakfast they were offering. I believe it was a piece of fruit, a granola bar, a Gatorade, and a water for something like $14. I opted to not take the breakfast as I had already packed my own fruit and granola bar. One of the best parts about booking through Anthony Travel is that THEY provided me with transportation to the start of the race which was in Central Park. Even though I was in a later wave and my start time wasn't until 8:10 am, I still had to be on the bus at 5:45 am and we left the hotel at 6:00 am. The bus then dropped us off right outside of race security in Central Park. In my opinion, that was the best way to get to the race. I hope these details are helpful to anyone who is considering this race in the future. 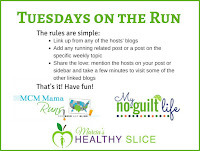 I am flip flopping the the Friday 5 themes this week and I will be sure to post my "Food" post next week! 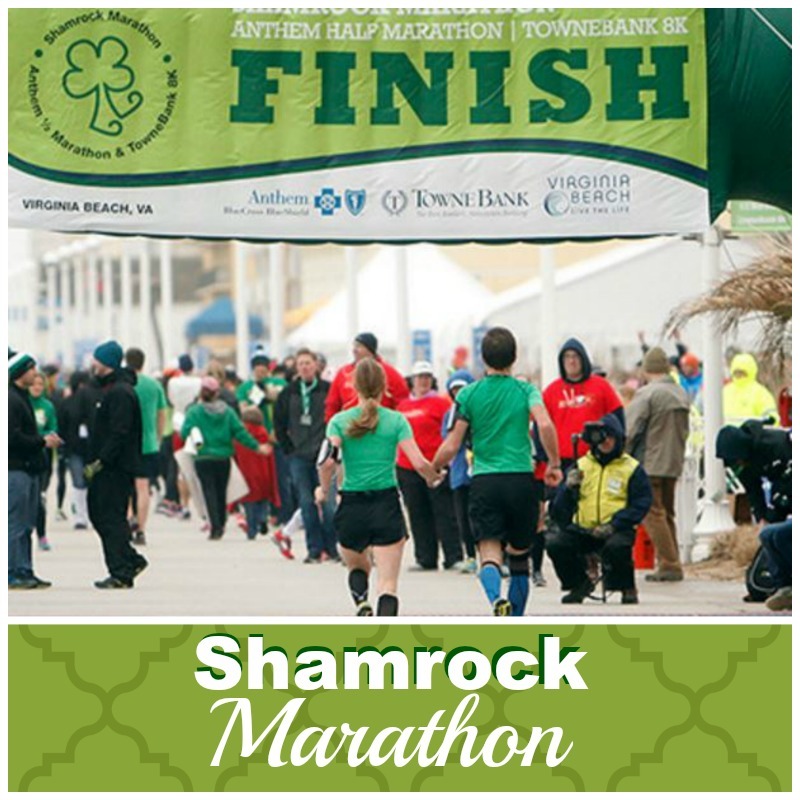 On Sunday I ran my 13th marathon and my 3rd Shamrock Marathon. There isn’t much to say about this race except for the fact that the whole thing just sucked! From the time I got up and saw it was rainy and cold out, I just wanted to crawl back underneath my covers and go back to sleep. I thought I didn’t pay over $100 to run this race to just go back to bed. So I forced myself to get dressed and headed out the door. Luckily the start was close to where I live so I didn’t have to leave super early. I arrived at my friend’s house around 7 am which was only a few blocks from the start that was at 8:30 am. While I was walking into a hotel to wait for the start I ran into a friend that I work with. I asked him what he was doing here and he said he was running. After he told me that I felt bad because a few weeks ago I asked him to pick up my class at the gym on Monday morning (which would be the next day). I didn't want to teach the class because I knew I would be sore from the race. He said that he would teach the class for me so I wouldn't have to. Until right now, I had no idea he was running this race too! Soon enough it was time to time line up at the start. My friend had asked me what time I was planning to run and I said around 3:30-ish. He said oh good I’ll try to stick with you. I wanted to line up by the 3:30 pace group but unfortunately they only had 3:15 and 3:35. So I stayed back with the 3:35 group for a bit. My friend and I ran together for about 6 miles then he had to stop to use the port-o- potty and then we never met back up. Right from the start I was miserable. It was rainy and cold! I tried to go as long as I could before I needed to put my headphones in. I got to about mile 11 and it was time to get some motivation with my music. The wind got even worse than before and the rain turned into a snowy mix. I had passed the 3:35 group for a bit by this time and then I saw the group coming up to pass me. I thought this may be a good thing. Now I am in a pack of runners. I will stay behind someone tall so they can block the wind. This plan worked for a bit until I started knocking elbows with others since we were so close and people in front of me would step right in puddles and water would splash up on me. By now I was coming up on mile 18. I knew despite the weather I still had some left in my tank and I wanted to pick up my pace. At this point I wasn’t really thinking of a specific time I wanted to finish in, I just wanted to finish because I was so cold and miserable! I rounded the corner to another military base and there was a bunch of sand blowing since it was so windy. There was even a car that had gotten stuck from the sand blowing so much in the middle of the base. I knew there was only about 6 miles left from this point. Only a 10k I thought, less than an hour. I was dodging puddles the whole time while running through the base. Finally I exited and was on the home stretch, less than two miles to go. By this time I was so over this race and I wanted it to be done. Luckily some of my favorite songs came on my ipod and that helped me reach the finish line. After running a marathon in the first half of both 2015 and 2016, I wanted the first half of 2017 to be a bit more relaxed with shorter distance races. 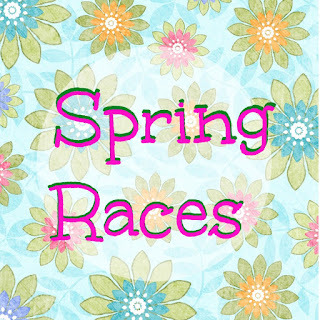 I initially wanted just one Spring Race-cation on my calendar this year but then other opportunities presented themselves. 1. Originally, my only plan for a Spring race included running the Hershey 10K in April. I've never done any of the Hershey races before and thought this would be a great way to check them out. I was hoping to concentrate on this distance during training and hopefully have a good finish time at this race (although I've heard there are some hills). I haven't raced a 10K since 2013. 2. Then I had the opportunity to run the NYC half marathon in March (THIS weekend). This is a race I wanted to do anyway. 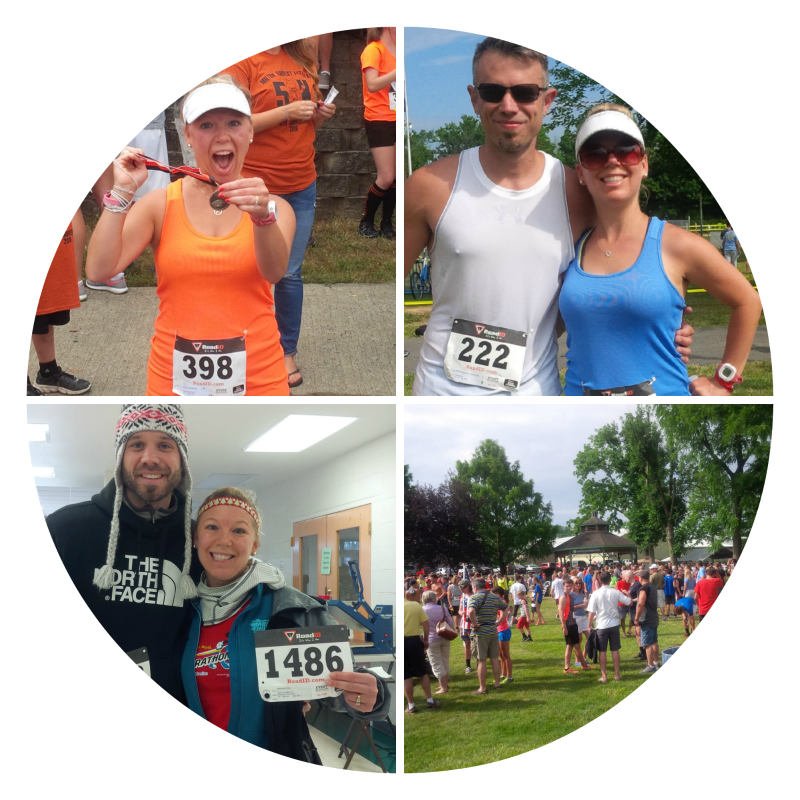 At this point in my life I am injury free (knock on wood I still am by the time I publish this post), and why put off something till next year if I have the opportunity to do it this year? I know this won't be a goal race because of the many hills during the first half. I was going to use this race as just a scenic jaunt in the city. 3. 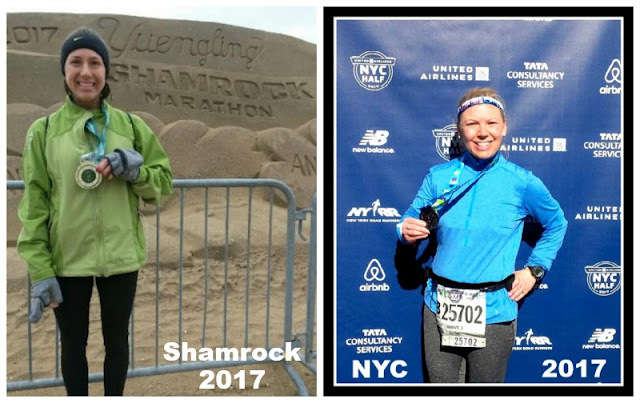 Since I am now running the NYC half, I am no longer keeping the Hershey 10K as my "goal race". I guess I'll just use that as a fun recovery run. 4. Yet, another race opportunity has presented itself for May. I'm not going to mention the race by name yet because many details need to be worked out and I haven't made a decision yet. 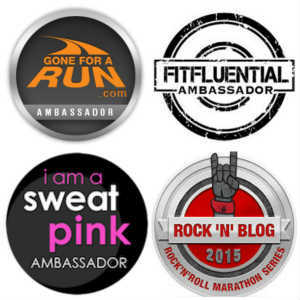 My husband's company is a sponsor for this race series and I was asked if I wanted to run the marathon. HECK NO! 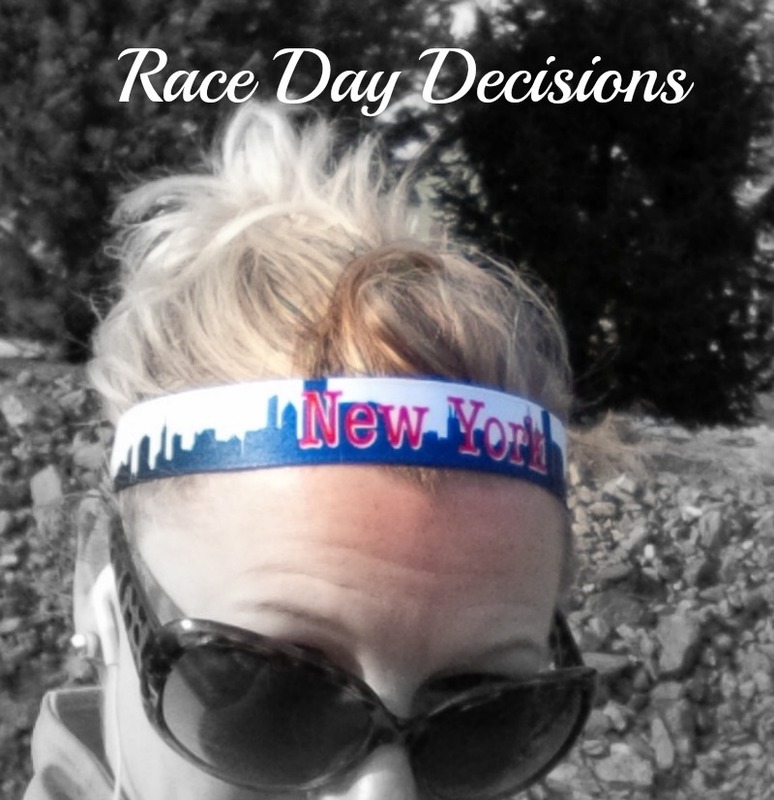 I will not run the marathon but a race in this series is on my list of races to accomplish. I know this race is hilly and would definitely be a challenge and it actually makes NYC look like a stroll in the park. Which makes me think that maybe I should set my expectations for NYC a little higher and use this race in May as my "just get through it" race, haha. 5. There is another local 5k/10k race coming up in May (it's a pirate theme) that I might run with friends and family.